I had won a Groupon gift card for from Crowdtap in this months drawings. If you are not a member of Crowdtap you should join today!! I have won MANY gift cards from them. However, this was my first Groupon win to date and I do hope I can win more soon! Groupon is so easy to use! Pick the special you would like and pay for it! In the case of Mercado Juarez Cafe, the deal was $20 of food for only $10!! But Because of that win, I got a $20 Groupon for no cost! You can order the Groupon gift card for the cafe too!! When you join Groupon you will get notices about great other deals in your local area! They have deals on everything from food to pedicures! While we were at the cafe I went onto Groupon.com and gifted a groupon certificate to a family member via email. :) ~ So they were able to save on their lunch too! 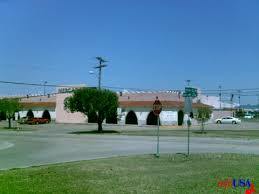 901 W. Northwest Highway in Dallas Texas. They offer world-class authentic Mexican cuisine with a wonderful dinning experience! As I was doing a little research before we arrived, I learned that they have been serving the DFW area for more than 25 years and are locally owned company. I was surprised to learn that their signature item is the salsa that is served WARM!! That was some darn good SALSA! The chips were thin and tasted great! The specials are reasonably priced. I had the Cheese enchilada plate. The plate had 2 cheese enchiladas with caso over them with a side of rice and beans. The plate was really good and priced right too!! Our server filled our drinks often and provided Excellent service to us! The best part came when I went to pay for lunch. After my Groupon~ I only payed $1.61!! Take advantage of this great Groupon deal today and enjoy an almost FREE meal too!! I would rate this meal a 4.7 out of 5. Due to the rice. The restaurant was very clean and the atmosphere was great! We will be going back again! Thanks again to Crowdtap and Groupon!